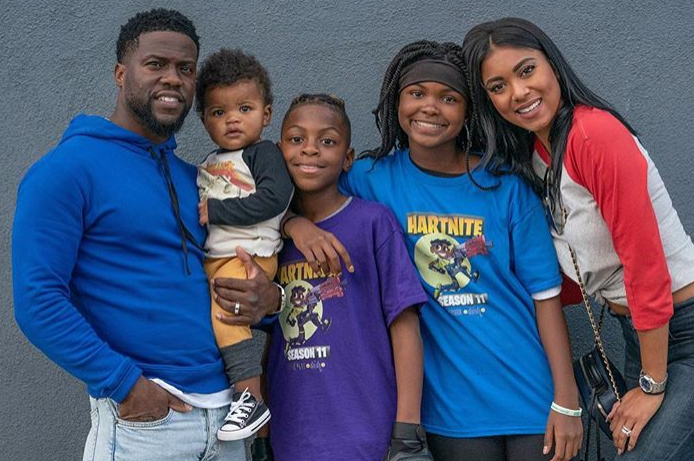 One thing is for sure, the Harts know how to party! 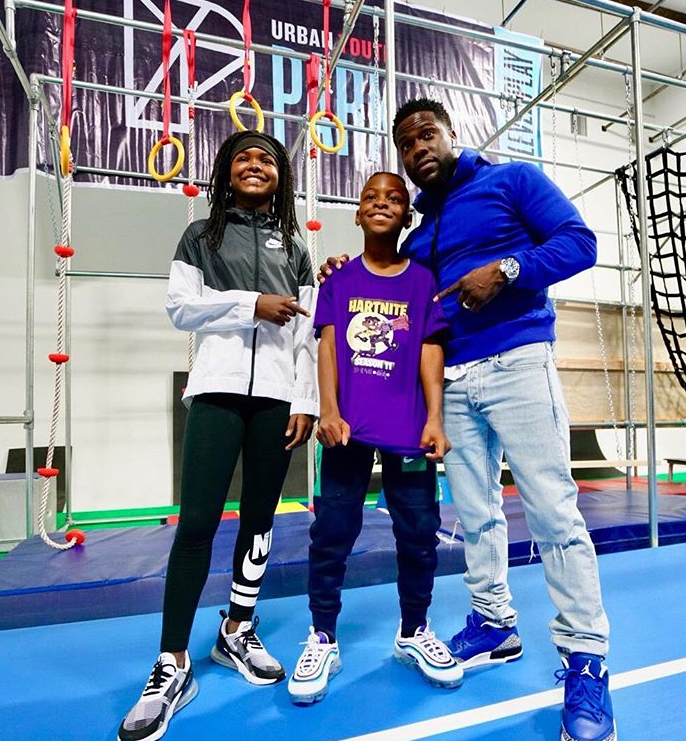 Kevin and Torrei Hart always go ALL OUT for the kids' birthday, and this year wasn't any different. 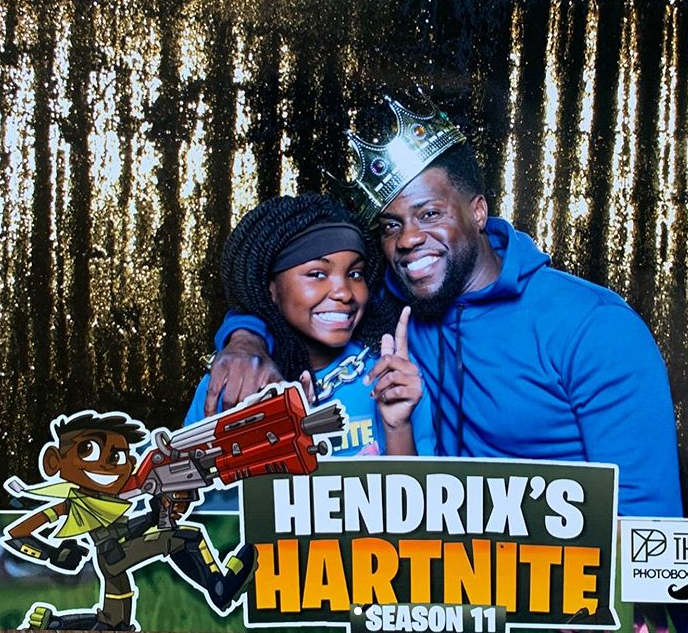 Hendrix Hart turned 11-years-old this year and he was all about that Fortnite life...like most kids nowadays. 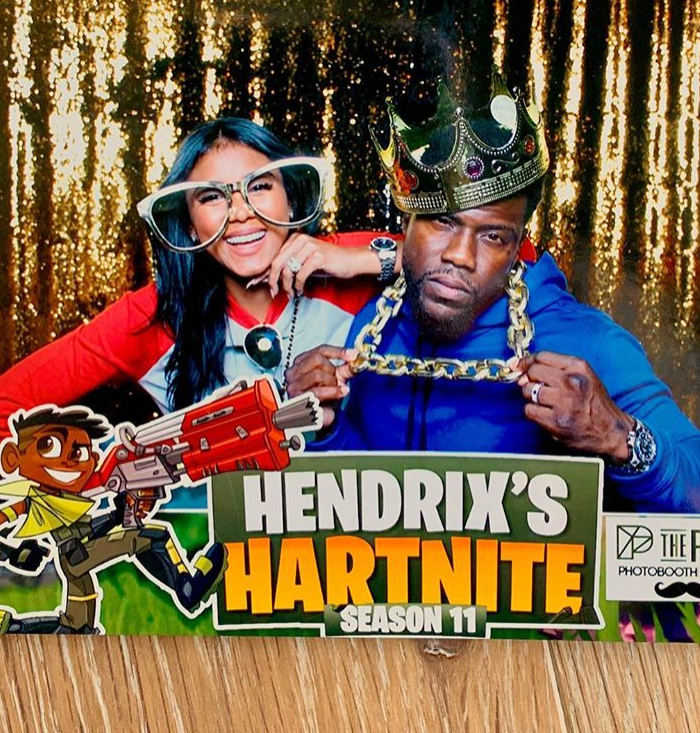 The Fortnite-inspired b'day bash was dubbed #Hartnite and it was full of fun, food and games! bDASHd and Urban Youth Park made sure it was a night to remember as they were able to pull off an entire ninja warrior zone and fortnite bases ending in an epic dodgeball/nerf battle royal between Kevin vs. everyone. Ha! 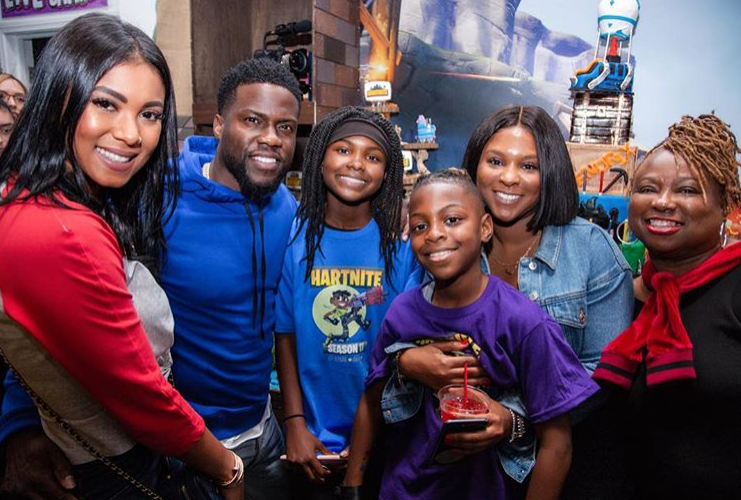 Hendrix was joined by his parents, big sister Heaven Hart, little brother Kenzo Hart, stepmom Eniko Hart, family and friends. 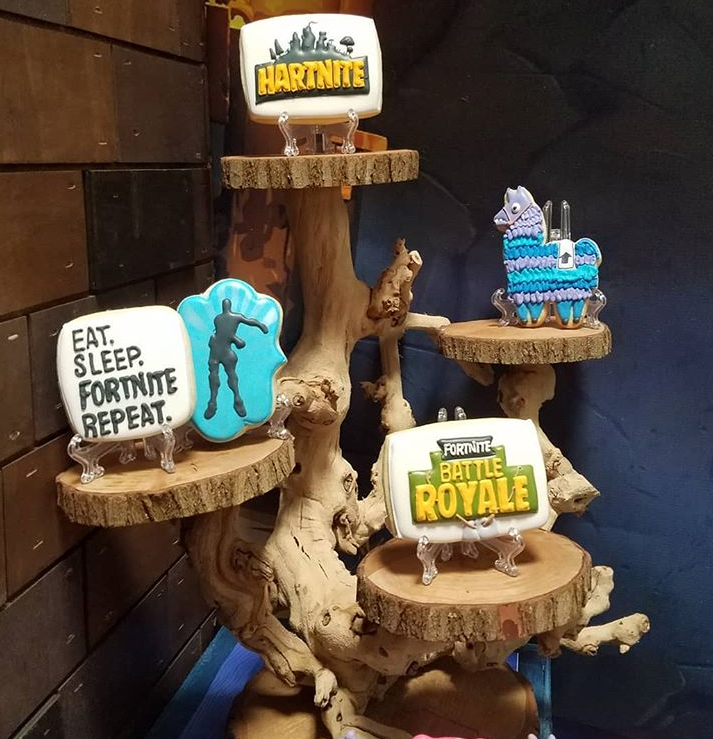 "My Son’s 'HartNite' theme B Day party was unreal. Major shoutout to @torreihart & @bdashd for putting together such an amazing event....Hendrix was beyond happy & surprised. Thank you," Kevin captioned. "I have never seen so much joy and happiness on our sons face," Torrei captioned. "He truly lived out one of his dreams. 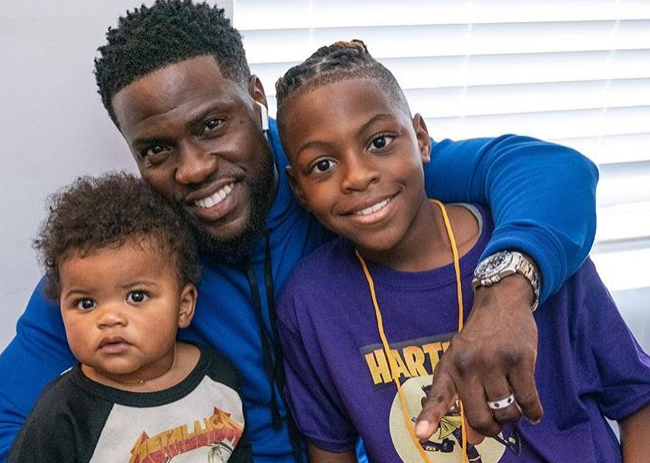 Thank you @kevinhart4real for always going along with my over the top themes. This couldn’t have happened without you. A HUGE thank you to my amazing, talented, think outside of the box event planner @bdashd for helping one of Hendrix dreams come true, and @hashimlafond for capturing the moment so beautifully. You guys rock! !," she said. "Happiest 11th Birthday to Hendrix. So much fun celebrating with you yesterday..We Love you so much man," Eniko captioned. Since the Seattle Seahawks brought home a win last Thursday, this past weekend was all about making sure wifey was happy. Ciara and Russell Wilson continue making us stan their relationship because, let's face it, what women wouldn't want to be treated like a real-life QUEEN. That's how Russ treats CiCi and we love it. For date night over the weekend, Russ pulled some strings and whipped out a jet to literally fly his woman in the sky. Like, what was the prayer CiCi sent up to heaven to be gifted Russell? Sis, we need the words to the EXACT prayer. Meanwhile, some of us can't even get a text back. Ha!